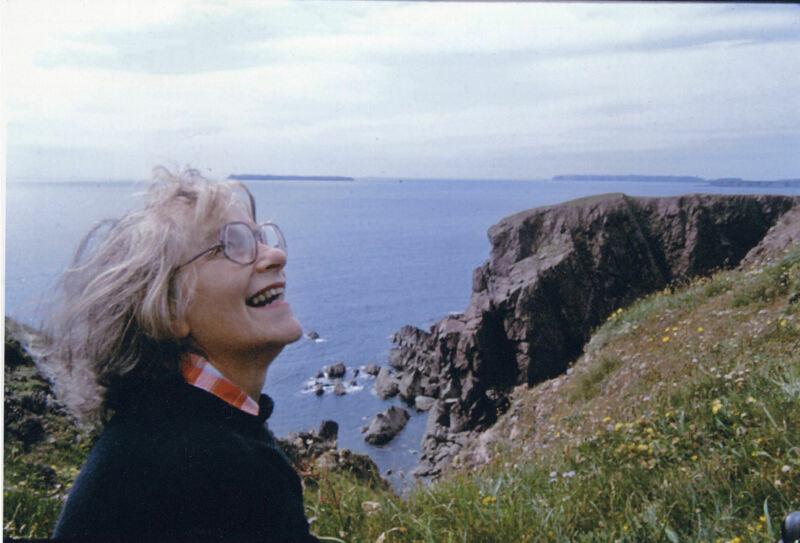 Rona on a visit to St Anne's head, Pembrokeshire, in 1983. Rona Eleanor Archer, née Girton, was born and bred in the east end of London, a genuine East Ender, although she spent the majority of her 92 years in Chester. She was the elder daughter of Harry and Nellie (Eleanor) Girton and is survived by her sister Marion, four children (Ruth Rouxel, Michael, Julian and myself), 9 grandchildren and 6 great grandchildren. She was predeceased by Roy, her husband of 66 years. Rona’s 14th birthday fell the day after Britain declared war on Germany and so was rather dominated by having been evacuated to Brentwood, little sister in tow. They would later be moved again to the safer location of Truro, Cornwall, much further away from London. By securing temporary work on a nearby farm, Harry and Nellie were able to visit the girls in Truro. While there, Harry was invited to Rona’s school to see the headmistress and English teacher, and fully expected to be told that his daughter had been up to mischief. On the contrary: Harry was told that the teachers were strongly of the opinion that she should go to university, something he and Nellie fully supported as Nellie had lost out on a scholarship due to the early death of her father. Few girls went to university in those days, even from then much sought-after quarter of Forest Gate. It is to Harry and Nellie Girton’s enormous credit that they went against the norms of the day and supported the idea (as they would in turn for Marion) and Rona duly took a degree in sociology at Bedford College, part of the University of London. As the war was still far from over, for her first year Bedford College was located in Cambridge. By her second year, (44-45) it was safe to return to London (near Regent’s Park). The online record card for the Civil Service Selection Board Procedures, 1949-1953, that Rona will have followed closely. After the war, Rona undertook a variety of jobs including one at the Civil Service Selection Board where she helped a good many of the returning soldiers transition to civic life, and at the Nuffield Trust. I think I’m right in saying that she worked on the 1953 report The Work of Nurses in Hospital Wards, credited by posterity to H A Goddard who, Rona would say, occasionally came into the office to ask how we were all getting on with writing his report. Post war, post university, Rona enjoyed life and had many admirers. One of whom, Raymond, became her fiancé. Her father, Harry Girton, like George Archer, devoted a lot of his spare time to running activities for youngsters. They knew each other from occasions when the activities they organised overlapped and I think I’m right in saying it was a swimming gala when they bumped into each other and Harry told George that Rona had broken off the engagement to Raymond. George's son Roy wasted no time and was calling for Rona the next day, suggesting they meet along the Victoria Embankment. Roy and Rona were married on 29th July 1950. Rona’s life was devoted to the needs of others. Her children, obviously, but not exclusively. She was a stalwart volunteer at Marriage Guidance Council (now Relate) for many years. In later life she worked at the Citizen’s Advice Bureau (now simply Citizens Advice), specialising in providing debt counselling. Such was her value to the organisation that when she reached 70, they moved the retirement date back to 75 to allow her to do a further 5 years, which she did, before co-founding the Chester Credit Union. Both of those roles required her to study for formal qualifcations at a time in life when few would make the effort. Soon after I was old enough to start school she took the part time job – that is, near full time job for part time wages – running the SPCK bookshop on the campus of Chester Teacher Training College (now University of Chester) where Roy worked as a lecturer. One of my clearest memories of summer holidays was Rona sitting at her favourite picnic spot writing orders for the new term, much to the annoyance of Roy who thought she should wait until she got home to do that. Rona's favourite picnic spot, 'The Bridge' on Carningli, just outide Newport Pembs (OS ref: SN 045375). This picture is from Google Streetview, hence the blur, and is relatively recent. That big clump of conifers wasn't there in the 70s so you had a better view of Newport Bay and Dinas Head. Note the stream down to the right - great for diverting. Somehow, Rona found time occasionally for pursuits of her own, notably singing in the Cathedral Chapter choir. Requiems by Fauré and Verdi were particular favourites, although her real musical passion was Jazz. Saturday at 5pm meant Jazz Record Requests on Radio 3. After Roy died, the classical CDs all went – but she kept the jazz. The other day I was in Chester and wanted to buy some flowers for a dear family friend, Lena Baker, who did so much to look after Mum and Dad in their later years. My route took me to Wezzie Park (Westminster Park) where I called into a branch of Francis Thomas fruiterers and greengrocers. It’s right opposite the primary school I went to. I can see Mum picking me up from those gates, as well as the times I’d walk home with a friend or on my own to let myself in and have a bowl of cornflakes in front of Blue Peter or some such – while Mum and Dad were still at work of course. Francis Thomas wasn’t in Wezzie Park when I was growing up, but in town (in Northgate Street), and it was packed on a Saturday. Every week, my job was to walk to town and buy the potatoes and other heavy items that Mum (not unreasonably) couldn’t manage on the bus home from work. Spending a summer’s evening watching her in the choir, full of joy, singing a selection of madrigals (so I learned roughly what a madrigal is). When the phone rang during the day, it would be another call about MGC. When I was at home in bed with mumps, or diarrhoea, or chicken pox, doing the jigsaw puzzle with the picture of the train for the umpteenth time, I must drink boiled water. If you want to know something: look it up! (that one straight from Harry Girton). In the boat: “Oh Roy!” (that would have been the name of any boat we might have had after Blue Admiral). Five and twenty to five (never twenty five to). Handling Mrs Drysdale next door. 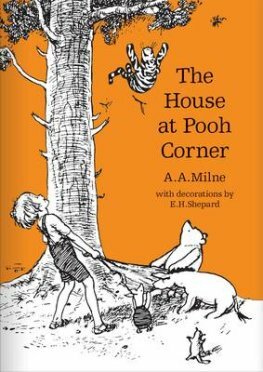 Reading Winnie the Pooh to me. The explorations of Europe with Dad, Maz and Cam. The once in a lifetime trip to Ecuador and the Galapagos with Ralph and Pat Green. Seven eights are fifty six (and all the others, over and over again until I learned them). Books and records to expand my literary and musical horizons, and the (entirely understandable) dislike of Donna Summer's McArthur Park. Helping me through endless bouts of wheeziness. Banana and custard or strawberry and cream (flavoured medicine). Badaedas bath gel, All Gold chocolate. Tales of Aunt Maud Aunt Maud (a relative from a previous generation I never actually met). Putting up with the truly awful teenager I was. You're in a bit of cleft stick aren't you? Calling me to the kitchen to look at next door's enormous pear tree bathed in autumn sunlight. Yes, that's a very good Plastic Meccano model. Now, take it to pieces before you put it away so it's fresh for next time (something I tried and failed to persuade my own children to do with their Lego). The Läufer erasers display draws from the shop that became my drawers for bits and bobs from the model railway. Sit on the chair properly or you'll break the chair, your back, or both. We achieve more working together than against each other (Mum was a life long Labour voter).